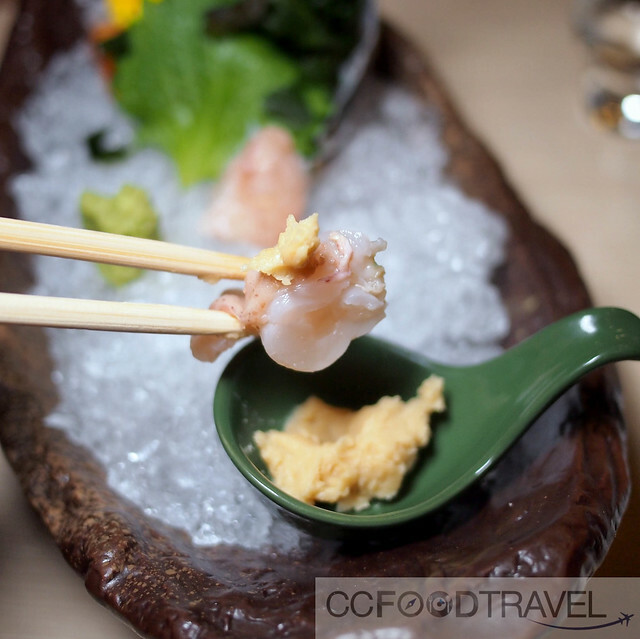 Kuala Lumpur has no shortage of Japanese food options, but how do you avoid those crappy california rolls and find yourself a truly exquisite sashimi experience? 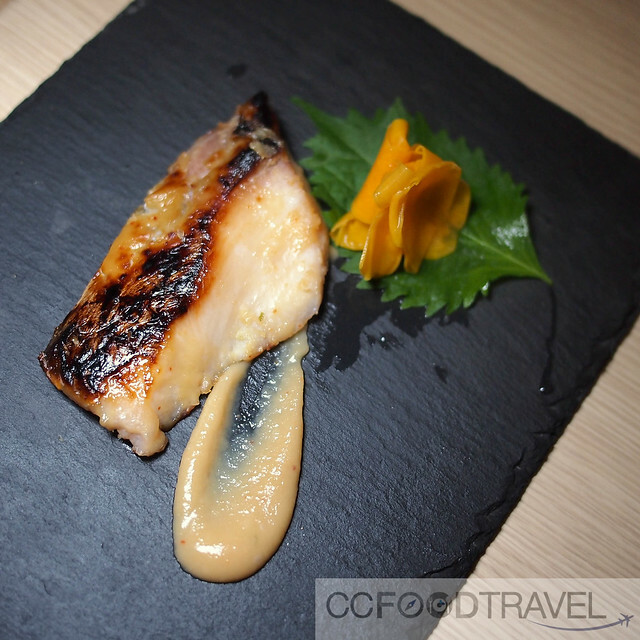 Well here’s one no-nonsense Japanese spot, turning out a couple of seafood stunners. Yamaguchi Fish Market seems to be the buzz word this month. Brought to you by the same folks who opened Black Market, Caffeinees and Eight Gourmets Gala (EGG), this place is a seafood haven. 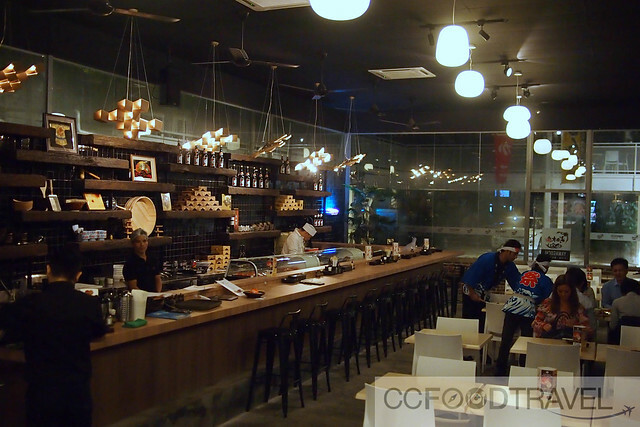 They like to think of themselves as the Tsukiji of Kuala Lumpur. 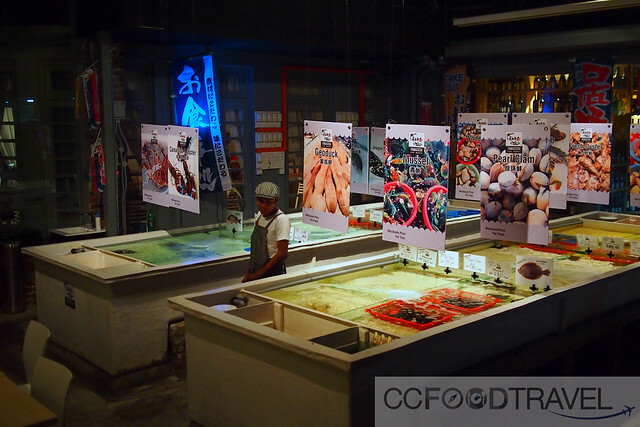 Anyway, we went along to check out, just how good the spread and how fresh the seafood was, exactly, for ourselves. Apart from Japanese food, this place also serves some other non-Japanese specialties. For example this chicken dish. This item came to the table, steaming, smoking and under a cover – the Cigar Kampung Chicken (RM48) might look small, but is packed with yumminess. The meat was taut with succulence and the crispy skin, pungent with smokiness. I loved this dish. 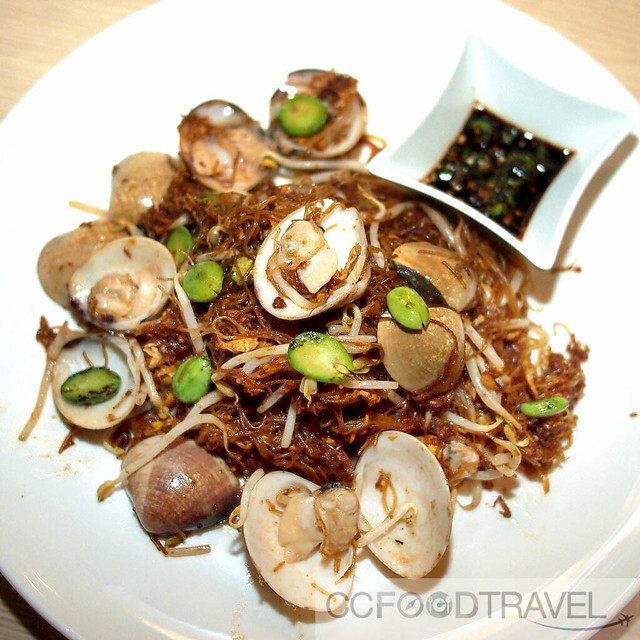 Another crowd please was this smoky Fried Mee Hoon with Clam & Petai (RM26) – it’s really a Chinese dish – nothing Japanese about this one, but happy to report that the chef got the wok-hei just right. The intoxicating flavour if petai fused with vermicelli laced seafood was just heavenly. Then came the French Crab (RM128). 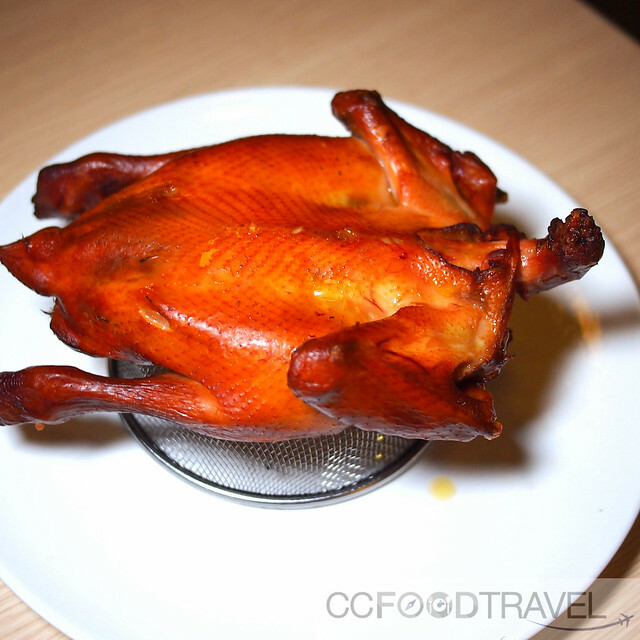 Small but sweet, this one was best prepared lightly steamed with egg, to showcase its freshness. 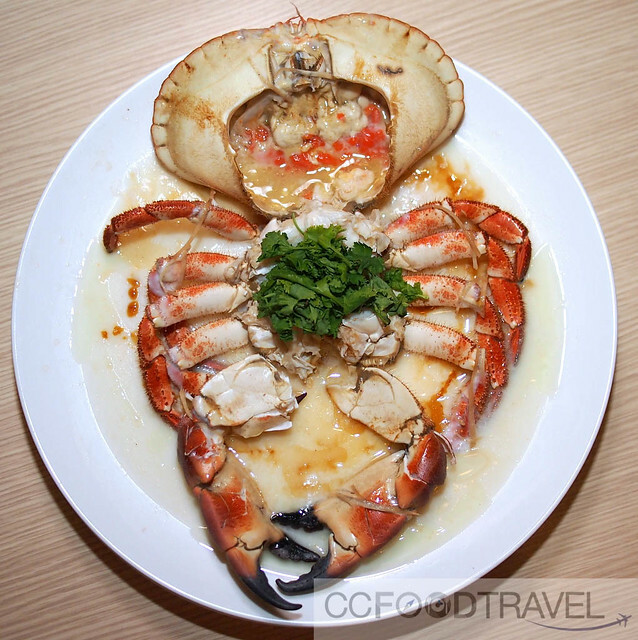 The head of the crab was packed with roe but unfortunately it was overcooked to the point of being rubbery. Otherwise the flavour was nice enough. 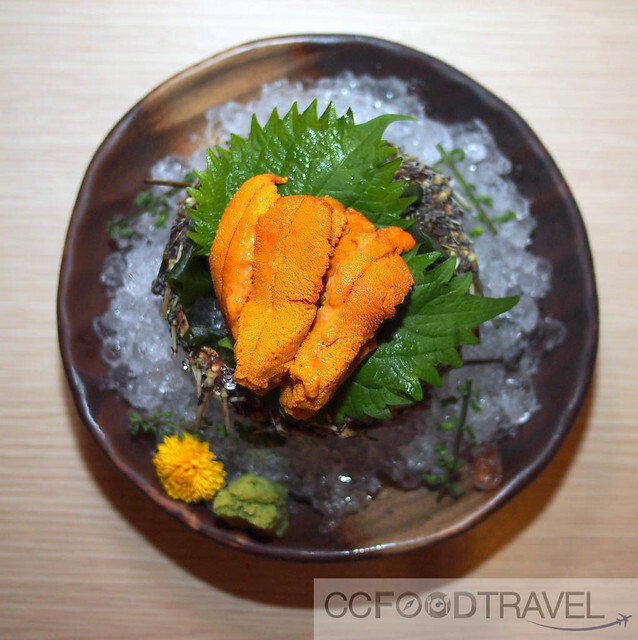 This one is a must not miss – The luscious, live Canadian Sea Urchin/Uni is still swimming in Yamaguchi’s tanks seconds before it is served. 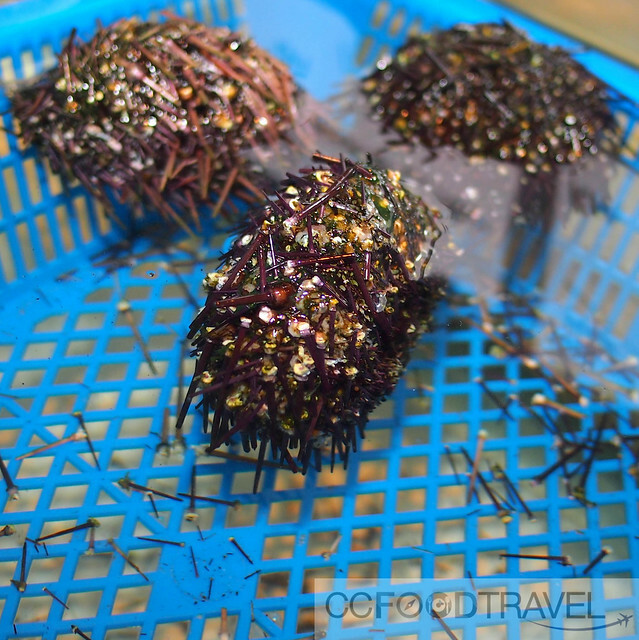 It has a strong briny flavour and urchin unctuousness that’s hard to beat. 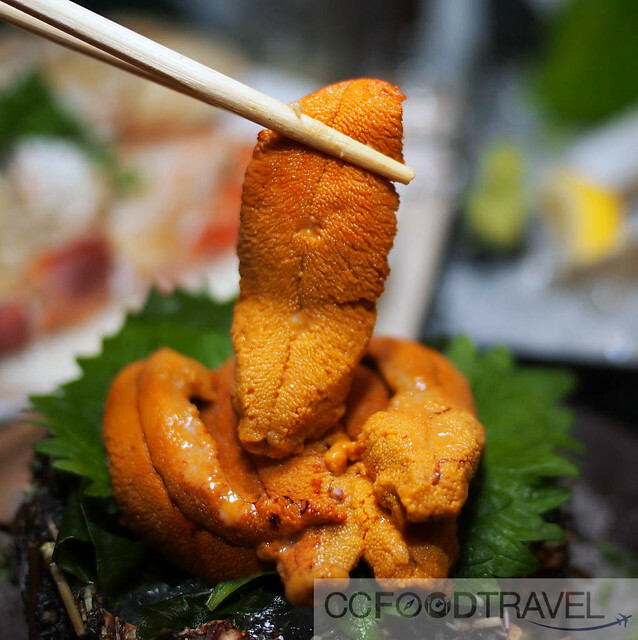 Priced between only RM88 – RM150 its real value for money as you get 5 huge pieces of Uni in one serving. Of course as with every good Japanese restaurant, you should always try their sashimi platter. The Yamaguchi Signature Sashimi Seafood Platter (RM198) was laden with abalone, prawns, salmon, 1 snow carb leg, 2 oysters and edamame. 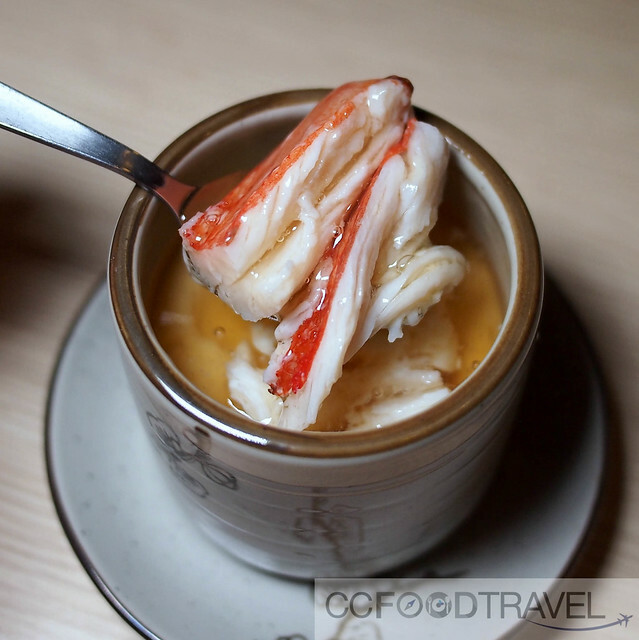 Some of the items like the abalone was too salty and so were the snow crabs which tasted like they had been brined. Unusual for a sashimi platter if you ask me. 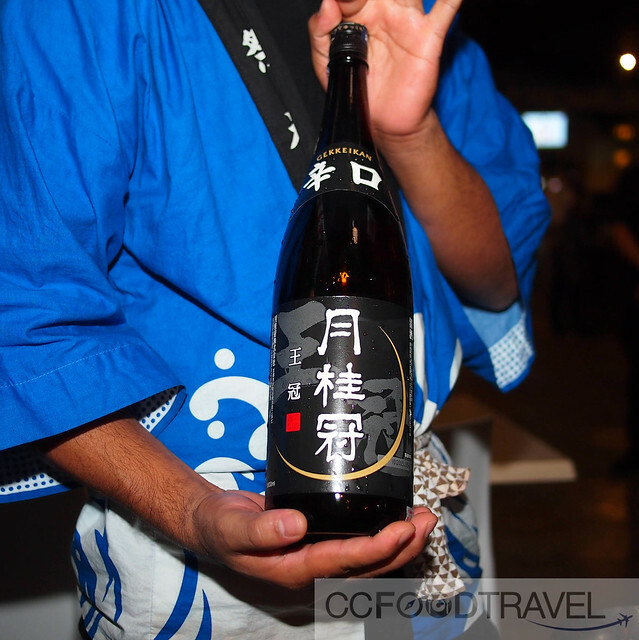 All this was well paired with the house sake of Gekkeikan Oukan Sake. Only RM130 for this massive bottle. For those still undecided on a place to celebrate Christmas and New Year, here’s a nice option. 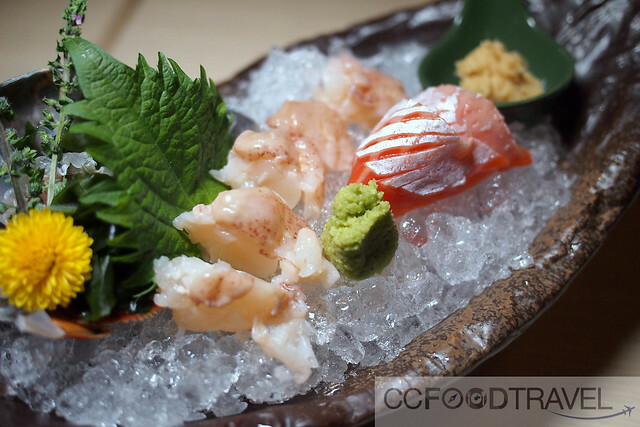 The Yamaguchi Omakase Christmas Set is affordably priced, but laced with high ended items such as lobster and snow crab. 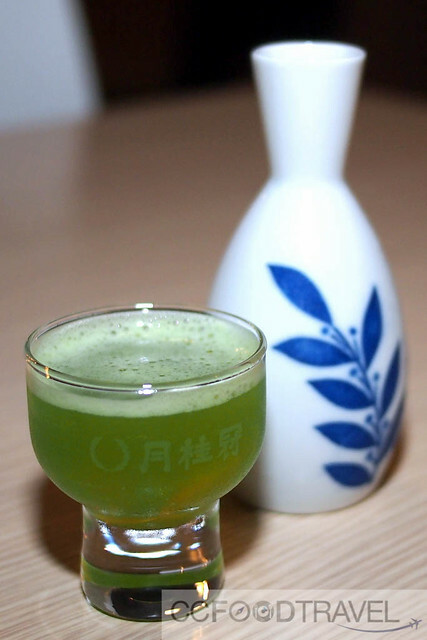 Drunk like a shooter, this was a refreshing shot which tasted like bubble gum. It had nice bits of jelly at the bottom. This chawanmushi was strangely watery. A little different from what we are used to. 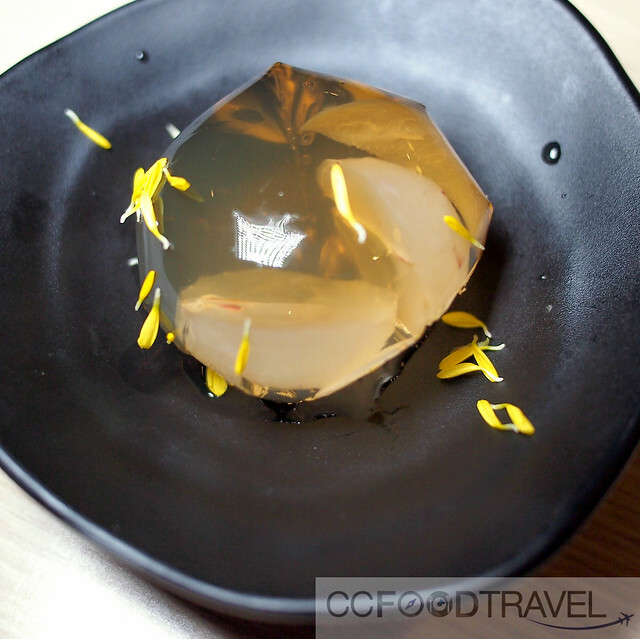 Lobster Sashimi – lobster, salmon belly sashimi & noisete miso. 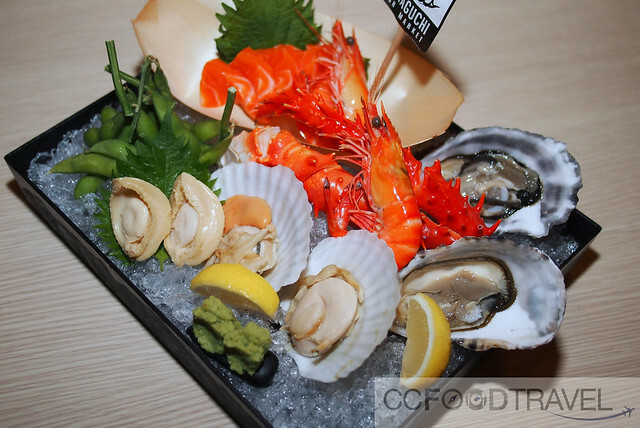 For no-nonsense Sashimi and seafood stunners there’s this. Faultlessly fatty tuna belly, and lobster sashimi so fresh I could almost see it quivering and dancing on the plate. This dish was the bomb. This most delectable miso dipping sauce reminded me of the Japanese version of peanut butter – simply divine! Then we were served the next mushroom, vegetables and salmon roe course, called the Mizuna Ohitashi (Mizuna, awabitake & ikura). They must have forgotten to drain the vegetables and mushrooms because this dish was water-logged. Well, at least the salmon roe was tasty. This fish was slightly overcooked and mushy. 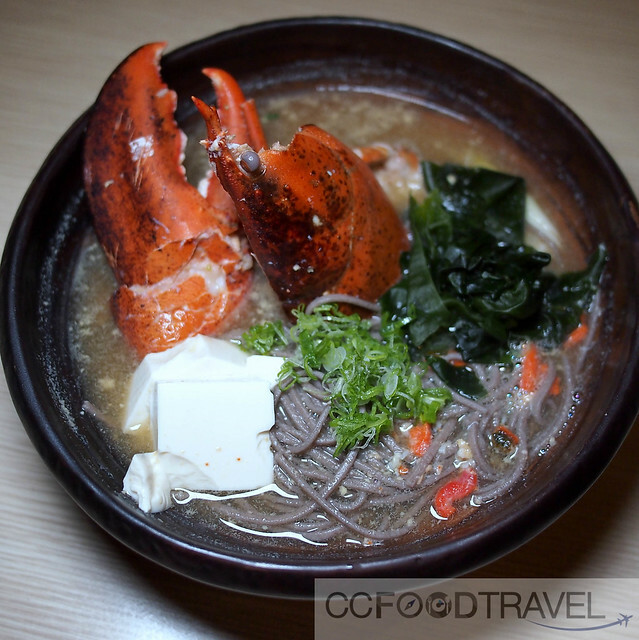 The lobster was fresh and meaty and the soba had an interesting taste. A huge bowl to end the dinner. All I can say is that it is definitely value for money. 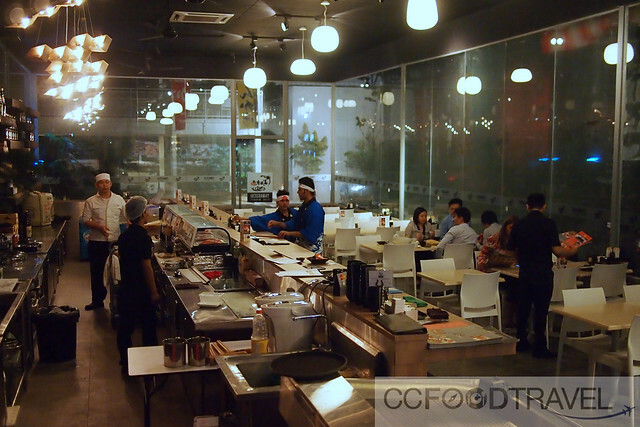 The Omakase Christmas & New Year set is priced at RM248++ per pax. As seats are limited, best RSVP at +6012 2682816 asap!